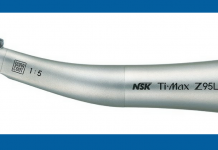 Alex Breitenbach, Managing Director NSK UK discusses why selecting a trusted handpiece brand is essential. One of the many important decisions a clinician will make is selecting the best and most appropriate handpieces to work with, choosing between the most suitable contra-angles, turbines and straight handpieces. Often clinicians stick with a familiar type of instrument, but with the new demands of restorative dentistry, many are now seeking a more refined option that can help meet these demands. The chosen instrument should deliver performance and reliability to carry out procedures with speed, confidence and accuracy to meet the clinical and aesthetic demands of patients. Additionally, they should offer the versatility to connect to all major manufacturer’s couplings, and finally, instruments should be comfortable to hold, quiet and have minimal vibration. 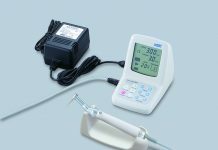 As is the norm these days, many dental professionals now choose to shop online for the best deals on dental equipment, but shop with caution, as the Medicines and Healthcare products Regulatory Agency (MHRA) have issued a Medical Device Alert1 concerning the dangers that counterfeit and non-CE marked devices can bring. If the price of a product seems too good to be true, then it probably is. Difficult to distinguish from the real thing, counterfeit devices can potentially fail during use with the risk of injury to both patient and user. Always ensure that any device purchased carries the ‘CE’ mark, a declaration by the manufacturer that the product complies with all the necessary EU safety regulations. However, only because products are ‘CE’ marked or the seller says they are doesn’t mean they are actually properly registered and compliant. So, to be sure and stay safe we recommend you buy from your preferred and trusted UK based supplier. Ultimately, everything usually boils down to price when it comes to the financial management of any dental practice. When looking to purchase new equipment, consideration should be given to not just the initial capital cost, but also any ongoing running and servicing costs. One way to help spread these costs is by taking advantage of rental schemes, such as the one offered by NSK, which for a fixed monthly fee*, allows you to use the very latest equipment whilst offering the reassurance of being covered by a 3-year service agreement that includes repair, maintenance, parts and labour costs, postage and even accidental damage**. As all clinicians know, strict compliance with HTM 01-05 and CQC guidelines is now part of every aspect of a dental practice’s operation, not least the care, cleaning and maintenance of all dental instruments. 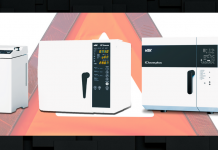 NSK now offer a range of fast, automatic handpiece maintenance units and autoclaves, using the most advanced technologies and quality components, ensuring total compliance and traceability whilst prolonging the life of your instruments and ensuring patient safety. For more information, contact NSK on 0800 634 1909 or visit www.nsk-uk.com. *The only stipulation is that if you rent a rotary instrument you must use NSK PANA SPRAY Plus. **Business use only, subject to status. Rental is arranged through our finance partners Snowbird Finance Ltd.